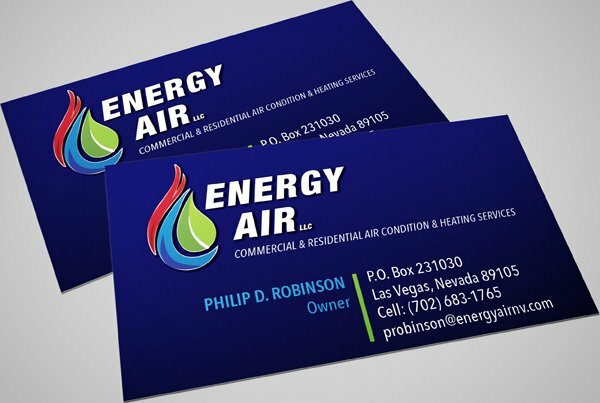 Last week we have received a request for a logo design and business card design from a local Las Vegas HVAC business. 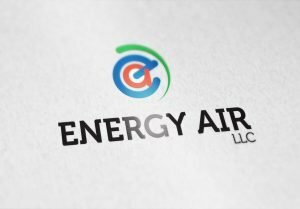 The customer had a couple of logos, the look of which he liked and would like his logo design to move in a similar direction. 4. "E" & "A" are once again combined into one symbol that represents a On & Off button. The choice of logo colors and fonts is more modern in this version. 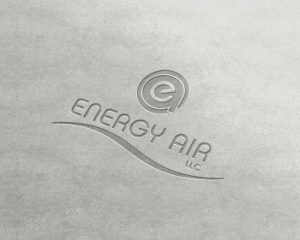 The customer was very happy with this logo design and approved it without any changes. The next step was to design business cards. 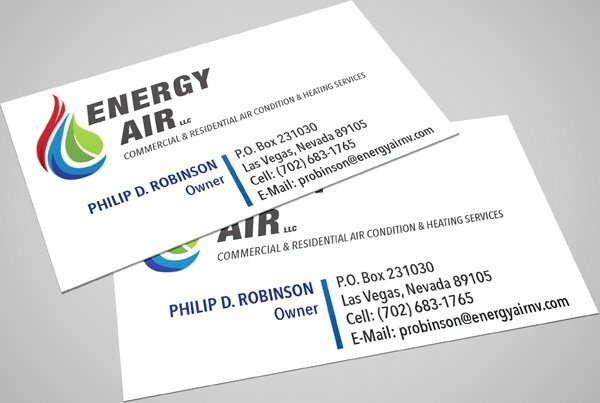 During the design process we've noticed that the provided text read "Air Condition & Heating", so when the business card design proposal was sent for a review, we suggested to change the wording to "Air Conditioning" and included the corrected wording on the last concept of the business card design. "Those all look great. I will need to take some time to pick the one I like (gonna be tough). You are correct it should be Air Conditioning." The next day the customer approved Version #5 along with the back side without any changes! 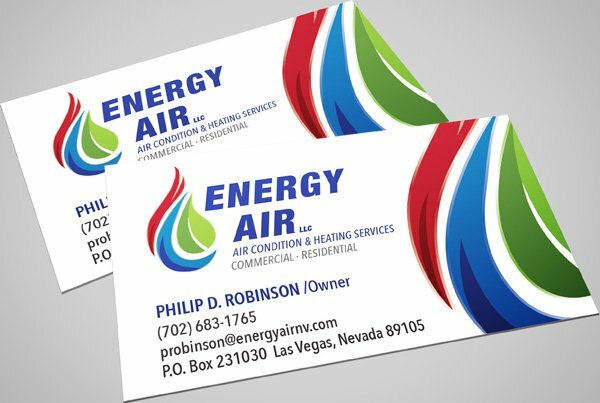 The cards are now in production and soon they will help this Las Vegas business owner market his new business. 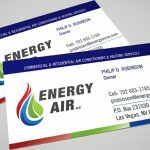 Do you need a business card? 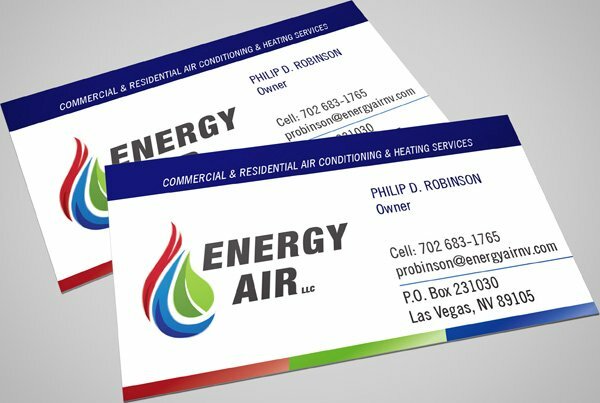 Call us if your business needs a new design or re-design of the logo and/or business card, Pro-File Marketing is here to help! 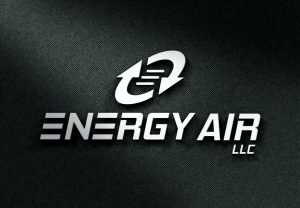 702-233-6939 or contact us here. 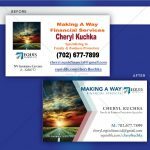 Business Card Redesign – Could you use one? 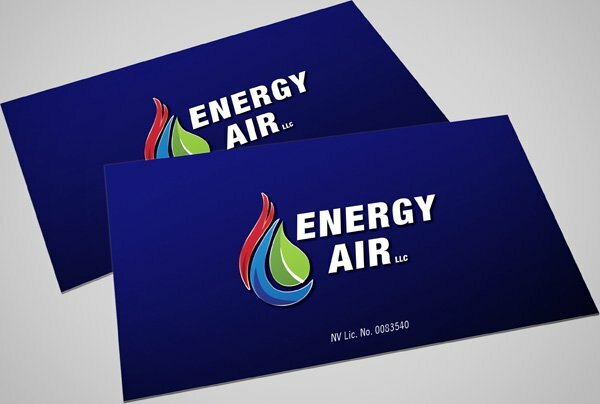 Recently we received a print order for business cards. The customer said that she designed the card herself and the print file was ready to go. Once we received the file, we knew it was a perfect case for Business Card Redesign. The design didn’t represent customer in a professional manner. First of all, the card used way too many colors. Second, there were different fonts in different sizes, all of which varied from line to line. It looked like it was designed for a kids party planning business rather than a family and business protection specialist. Since the customer designed the card herself, it meant that she was happy with it. Suggesting a business card redesign in this situation is quite tricky: we need to show that there’s room for improvement without hurting cutomer’s feelings. So, we just went ahead and redesigned the existing business card utilizing the same information, but gave it a cleaner look. Customer loved the newly designed business card and didn’t have one change to it. 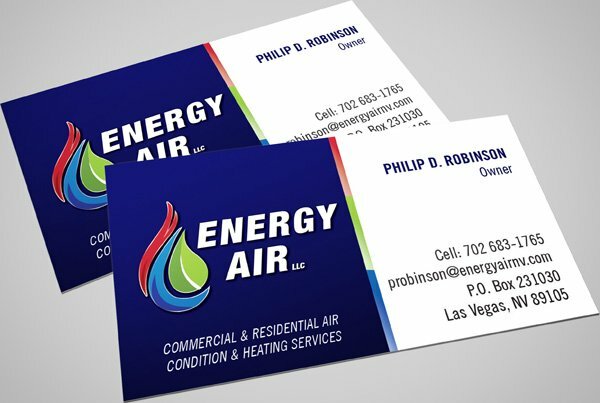 As you can see, at Pro-File Marketing we don’t just print business cards. 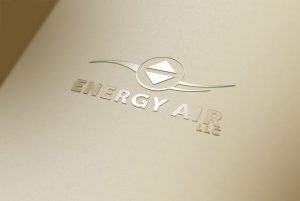 We review every order we receive, talk to our customers about their needs, and then make suggestions based on our knowledge of graphic design and printing principals. 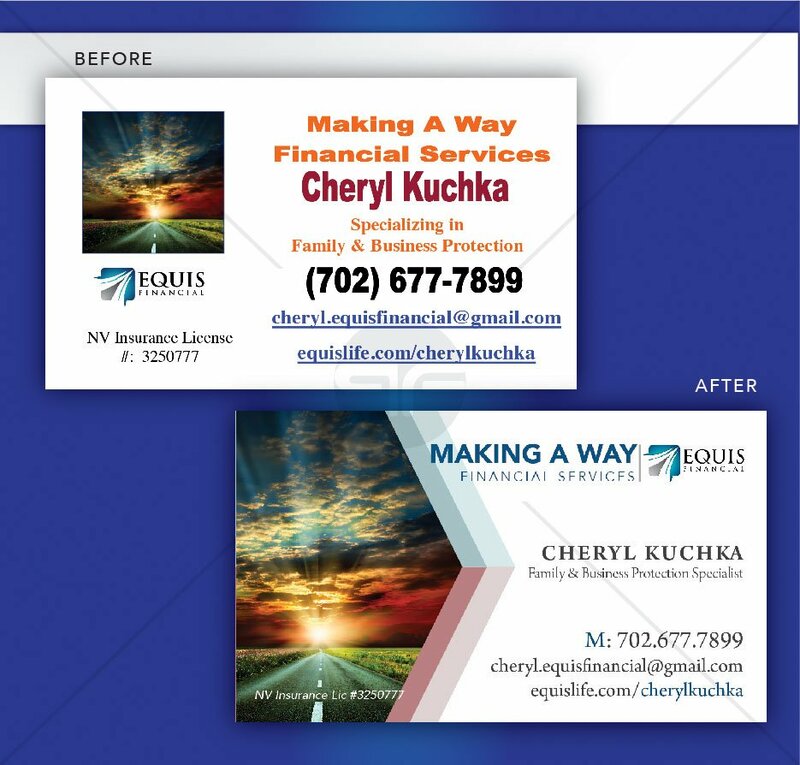 Is it time for your business card to be updated or redesigned? Call us today: 866-580-1230.